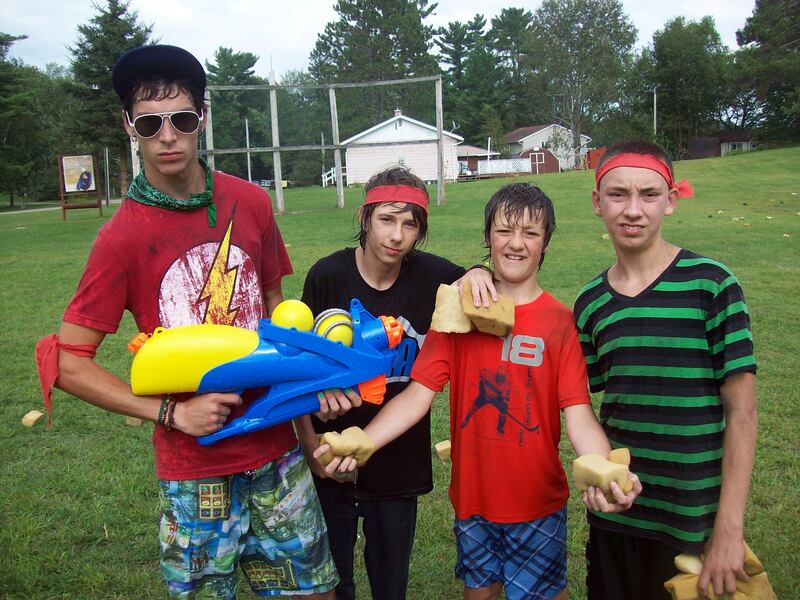 Intermediate Youth Camp activities are as varied as the campers involved. Options range from wacky games to exciting expeditions to profound explorations of faith. Speakers bring relevant topics and stimulate discussion in small group settings. Ask questions you can’t ask anywhere else, and come prepared to be challenged. The environment is open, supportive, and respectful of all worldviews. Here’s what to look forward to! You can look forward to such things as Theme Day, Sponge Wars, Banquets, Arts and crafts, Hiking, Basketball, Archery, Volleyball, Canoeing, Swimming, Baseball, Mountain-climbing, Crazy camp-wide games, Tuck Shop, Singing and playing music – bring an instrument! Hanging out with friends and counsellors. You’ll also find yourself involved in some crazy, off-beat, and totally awesome evening theme events and large group games. You’ll find that the creative and thought-provoking presentations of Christianity are relevant to youth. You’ll have lots of opportunity to discuss, ask questions, and share your own experiences and perspectives. Youths with disabilities are considered for our program if suitable arrangements can be made. (We invite you to inquire.) No one is ever turned down for financial reasons. Read through the section on Rates to find out more. Intermediate Outdoor Adventure Camps offer an alternative camping experience where campers live in tents (provided) and share in activities similar to the regular program, but with extra outdoor adventures. Registration is limited to 16 campers per week, and the spaces fill up quickly. Check out Outdoor Adventure Camp to find out more.